Room 23 created a comic life about How Can Decisions We Make Impact On Our Lives And The Lives Of Others. 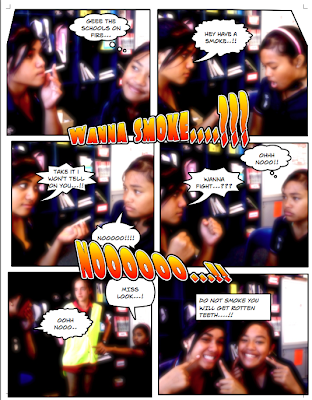 Me and my buddy Fatai decided to do ours on Saying No To Smoking. We had to take pictures of our self in an action to show what we are doing. We have done this to encourage people not to smoke and the bad things it will give you, it gives you rotten teeth and other bad effects on your body. Room 23 have learnt alot from D.A.R.E.